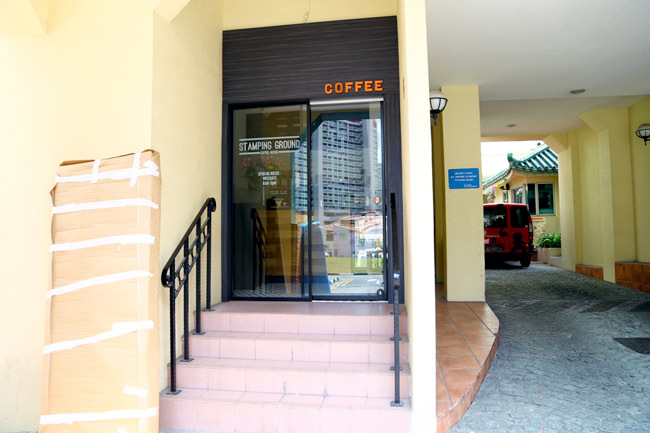 ‘Stamping ground’ mean a habitual or favourite gathering place, and the choice of name for this hole-in-the-wall coffee place is quite appropriate. 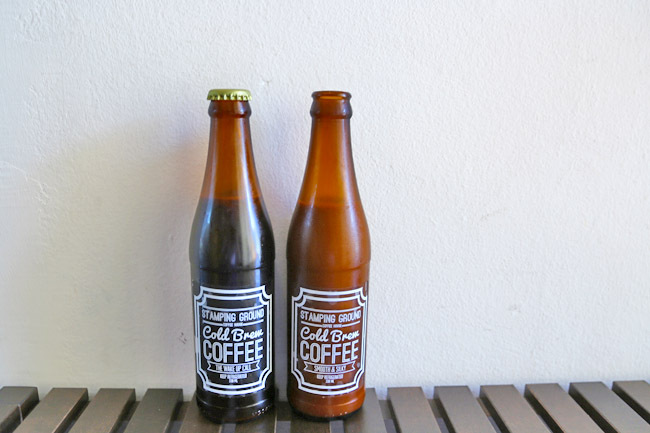 Stamping Ground Coffee located on Club Street (somewhere near Spizza) provides a takeaway caffeine fix for CBD dwellers. This place also reminds me of Mavrx Coffee at Duxton Hill. While it is a cramped space for perhaps only 4-5 to sit at any time, I noticed people really sitting down and chit-chatting, as though they were already regulars. Ah, the positive vibes. Opened by Charlene Chow and Shuwei, they were friends since secondary school and always had the dream of opening up their own coffee place. 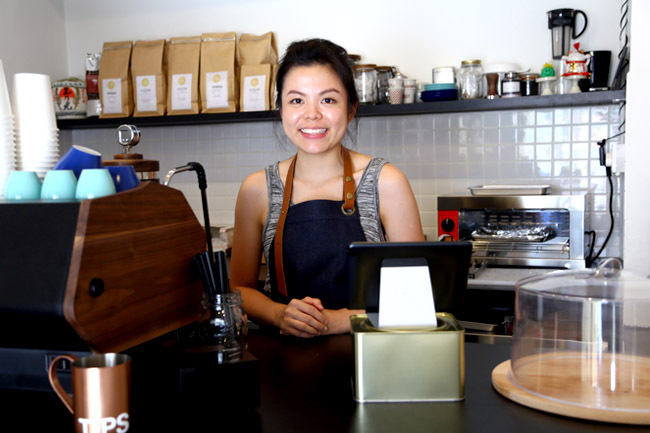 Charlene is the main barista behind the Italian La Marzocco. 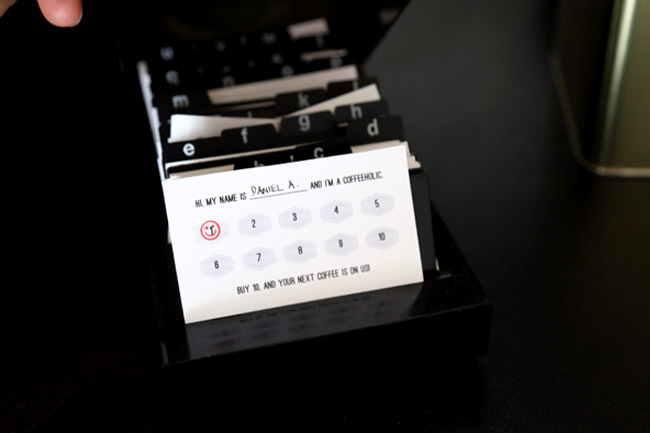 Beans from Papa Palheta are used – I spot the rich, heavy bodied Throwback blend. 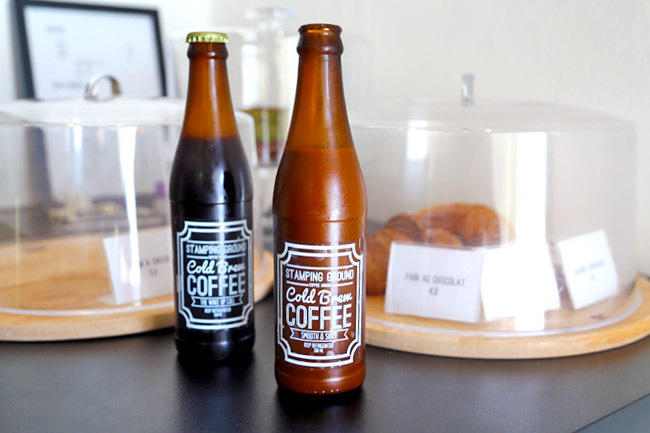 The Cold Brews in glass bottles ($6 for black, $7) with smooth texture and slightly fruity taste, have become one of the most popular items here. They sell out fast. 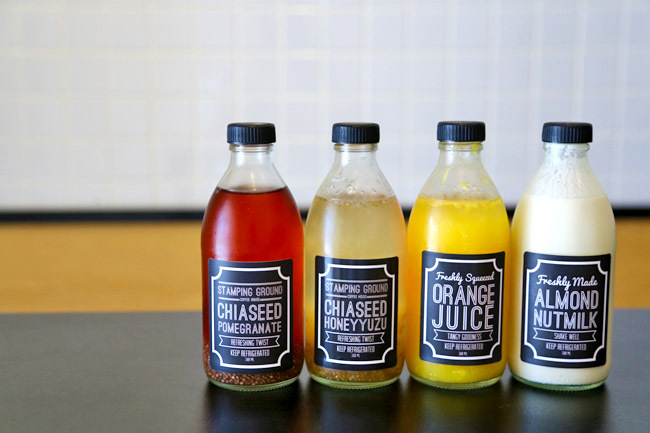 To provide an alternative to non-coffee drinkers, homemade bottled drinks such as Chia Seed Pomegranate ($6), Chia See Honey Yuzu ($6), Orange Juice ($6) and Almond Nut Milk ($8).